The campaign has seen countless families scramble to get their hands on the hot items. A NSW woman has uncovered a Coles Mini Shop scandal - and parents are outraged. Taking to the closed Coles Little Shop - Minis Swap Group Australia Facebook group earlier today, an Aussie mother of three revealed her own mother had overheard staff "bragging" about swiping the coveted collectable cases used to house the minis. The woman revealed the incident had occurred in a Coles store in the NSW town of Yamba earlier this morning. 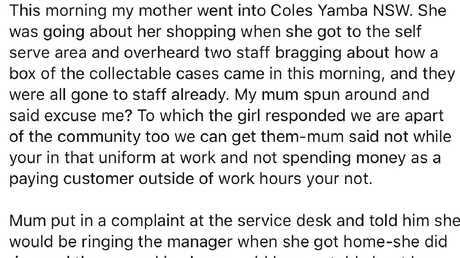 "This morning my mother went into Coles, Yamba NSW. She was going about her shopping when she got to the self serve area and overheard two staff bragging about how a box of the collectable cases came in this morning, and they were all gone to staff already," the woman, who news.com.au has decided not to name, posted. "My mum spun around and said excuse me? To which the girl responded we are apart (sic) of the community too we can get them - mum said not while you're in that uniform at work and not spending money as a paying customer outside of work hours you're not. "Mum put in a complaint at the service desk and told him she would be ringing the manager when she got home - she did ring and the second in charge said he was told about her complaint and that he had been around taking folders off staff members. "She ended up ringing head office about it and they said this has been happening with staff all over the country … WHAT THE HELL. 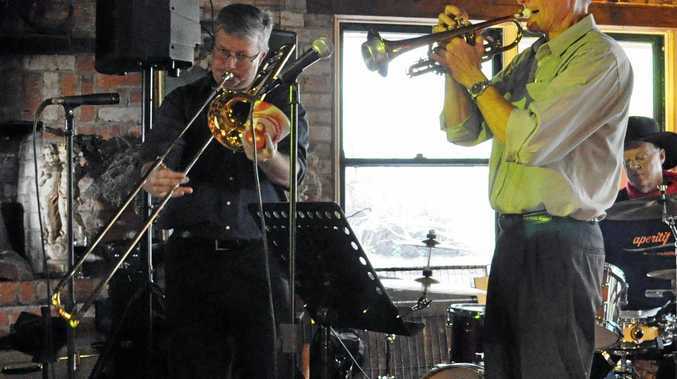 They were no help and wouldn't even call back and let us know what had been done about it." The woman said many parents had been "crying out" for the folders - only to be left empty-handed. "Now how many of us have been crying out for these folders? Because I have three kids, have collected three sets and have no cases and then just by an off chance of mum hearing this girl brag about it they got caught out. I am furious!" she wrote. The post was inundated with outraged replies, with many parents slamming the "greedy" staff members, and some calling for them to be fired. "Little cows should be sacked on the spot," one mother wrote, while another added: "They are going for a massive big profit on eBay! Coles have a monopoly on these folders, now there is a short supply." When contacted by news.com.au, a manager at the Yamba store said he could not comment on the allegations - but he confirmed cases had been "retrieved from staff" and had been made available to the public again, and that the customer who made the original claim had been informed. 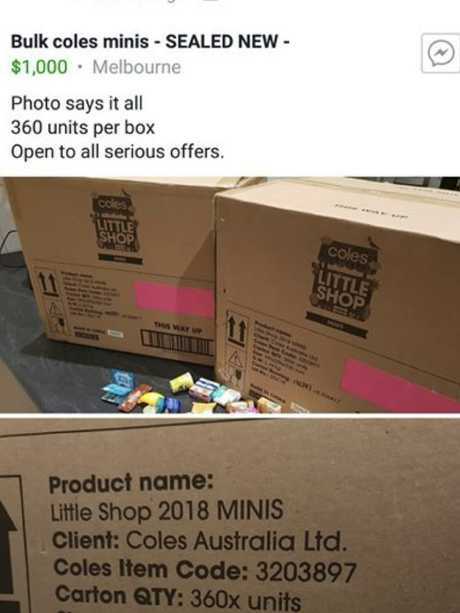 However, in response to the original Facebook comment, one woman shared a screenshot of boxes of bulk Coles Little Shop minis being sold on a Facebook Buy Sell & Swap page - for $1000. "How would anyone but a working team member get their hands on this?" the woman wrote. The supermarket chain's major marketing promotion featuring miniature versions of popular products like Nutella, Vegemite, Weet-Bix and Tim Tams has been incredibly popular with Aussie kids and their parents, with families flocking to stores to build their collections in recent months. 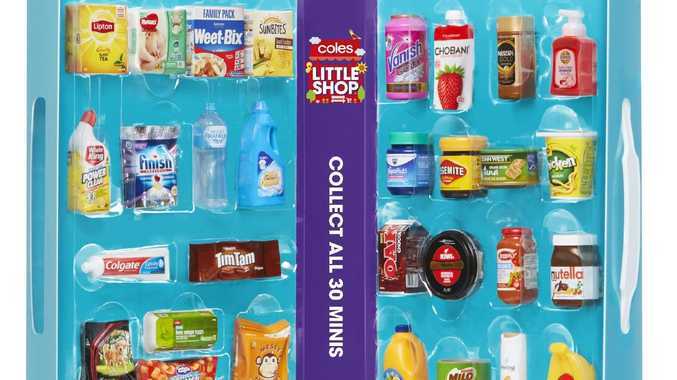 From mid July, Coles gave away a miniature branded product for every $30 spent - but there have been reports of items being sold online for huge profits. Another Coles spokesman dismissed the woman's claim that someone from head office had said the problem had been "happening with staff all over the country". He did not comment on whether staff at the Yamba store had taken the collectables before they could be offered to the public. He told news.com.au a case was available for the woman who made the original complaint, which could be picked up in store. He said the cases had been selling "very, very fast" and that a delivery made to Yamba yesterday had sold out to the public "within 10 minutes".